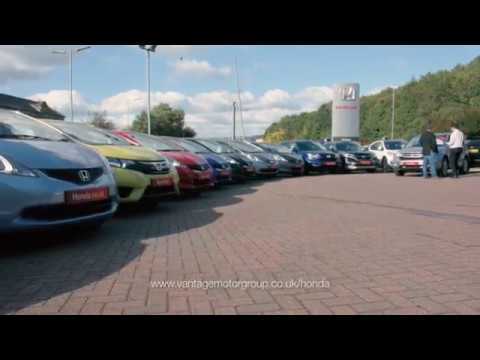 Vantage Honda in Barnsley is the family-owned business you can depend on. We are dedicated to providing the very best customer care and a truly enjoyable experience for buying and maintaining your car. You’ll always find a cheery smile and a warm ‘ow do when visiting our centre on Whaley Road, but we know that it’s not just what we do in centre that makes Vantage Honda Barnsley a great business. Care for our customers and community is at the heart of everything we do. That's why we make the little things count as much as the big things, and at Vantage Honda we love giving back to our local community by supporting local events, projects and organisation. The team at Vantage Honda Barnsley had a fun summer out and about in the community attending local events. We were proud to be a sponsor of Penistone Show, a fantastic day in the agricultural show calendar celebrating great Yorkshire traditions. It was great to showcase Honda’s exciting vehicle range and meet some new faces in our community! One of our lovely customers also invited us to attend the annual Brooklands Vintage & Classic Car Show in support of St Johns Air Ambulance. Families and car enthusiast came out to see the display of classic cars, and we brought along the Civic Type R to wow the crowds! We’re big supporters of local football team Brampton United Juniors FC and Vantage Honda Barnsley sponsor their Under 8 squad. We donated £600 to the club to equip them with a new kit! Brampton United JFC was establised in 2013, by a group of local residents with the aim to provide grassroots football for members of the local community aged from 7 to 11 years old. We are delighted to be able to lend our support to the Brampton boys, and are always looking for ways to contribute to the local community.